Supports storage and management of unstructured data (Files,BLOBs). Creates storage buckets and passes secure credentials to the application to access the buckets. Ensures that the storage for solutions is always available, without any interruptions. Ensures durability as the underlying technologies that we use provide storage replication. Offers highly scalable storage that can be used by cloud foundry applications to store and manage objects. 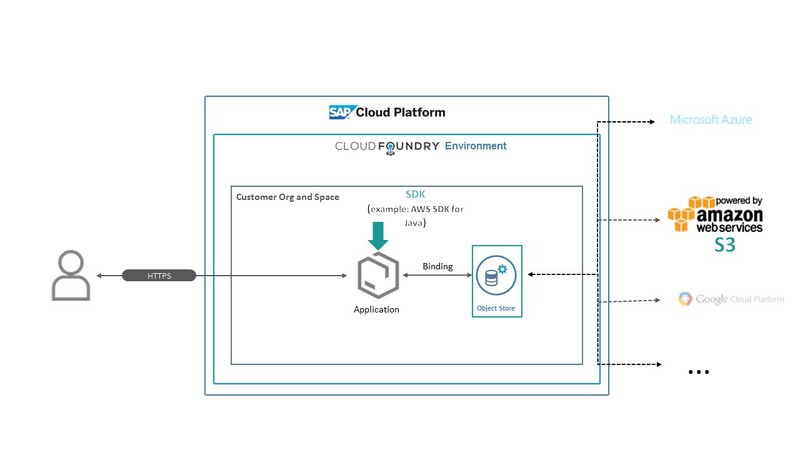 Provision a storage space that Cloud Foundry applications can utilize to store and manage objects.